Ann Carter Brown, George Washington, Benjamin Franklin, Gardner Colby, Albert Harkness, William Shakespeare, Elisha Benjamin Andrews, Julius Caesar! Notice the range of individuals staring down at you. The busts range from historical figures in education to an English professor. 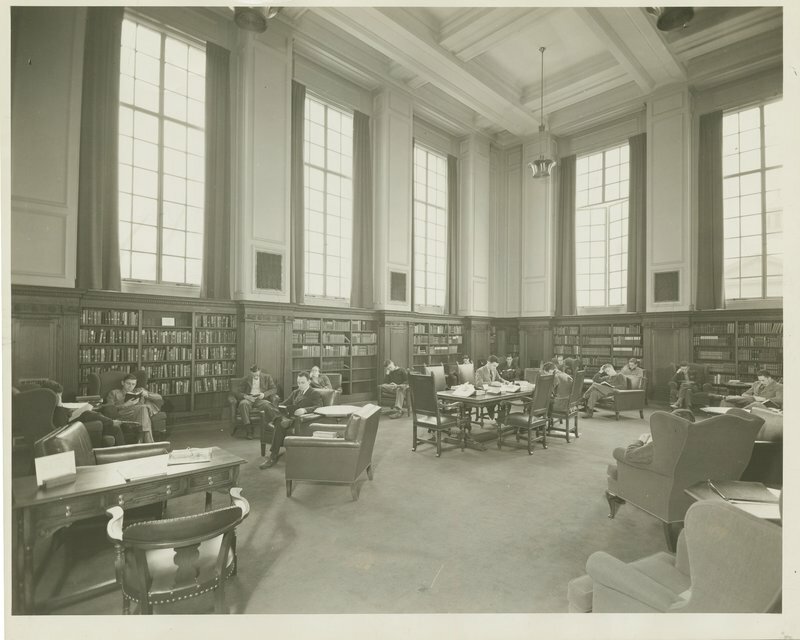 How was this eclectic mix of individuals chosen to be in the Willis Reading Room, and how are they important to Brown? Especially when hung collectively in a room, the density of the busts makes a broader statement about the importance or gravitas of a space, but only 2 out of 18 busts have labels, and they are tiny and placed far above eye level. They merely disclose the name of the individual and their position, often either “president,” or “professor,” and a date. We then view these individuals as products of their title and don’t know anything about the others. Who are these people, really? Why are the three females grouped together? Without descriptions or asking questions about the individual beyond what the label states, we are often left to our assumptions based on what we see. What starts as a very specific medium, a bust of an individual, cast or carved from their unique face, easily turns into ambiguous, general decoration for a library. 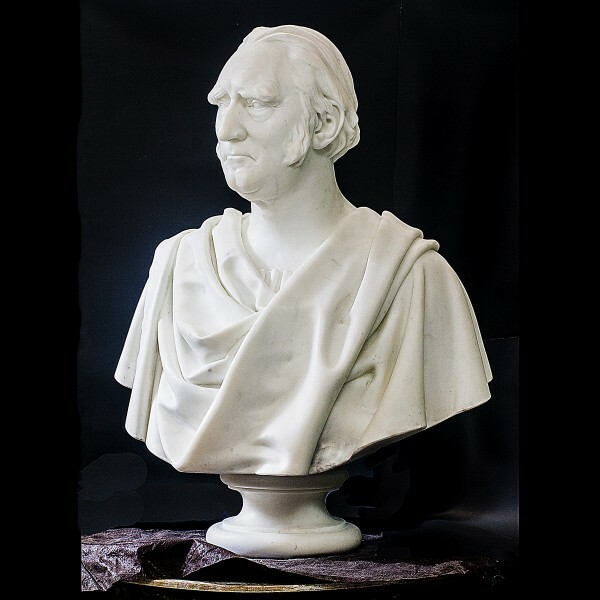 However, the anonymity of a marble bust can also invite viewers to imagine themselves as a celebrated individual, worthy of being memorialized by the tradition of a portrait bust. When you enter the room, look straight ahead to the second bust from the left and find Francis Wayland, who laid the foundation for Brown’s first “new curriculum.” Fed up with the education system in the mid 1800s, which focused on vocational training, President Wayland was ahead of his time in advocating for a more flexible curriculum at Brown. In his 1842 Report to the Corporation of Brown University, On Changes to the System of Collegiate Education, he outlined a formula in which “every student might study what he chose, all that he chose, and nothing but he chose.” He was met with much resistance from his colleagues, which eventually led to his resignation. But hundreds of years later, students choose to come to Brown for this exact reason. If you were to rewrite these labels, what information would you provide? Labels play a critical role in how we question and interpret the past, as they are often the lens through which we view the work on display. The Worcester Art Museum recently added new labels on portraits to draw attention to the sitters’ connections to slavery, sparking viewers to reevaluate their preconceived notions about the individual. Because objects cannot always speak for themselves, labels are crucial mediators between curators and viewers. As viewers, it is often difficult to draw meaning from the busts and relate to the individuals if we are merely given biographical information. When we choose not to take portraits at face value, we emerge with more nuanced understandings of the individuals who were pivotal to creating the university we know today. Why are so many of the busts in the Willis Reading Room wearing toga-like garments? Click on the image of Michelangelo’s bust of Brutus to find out. 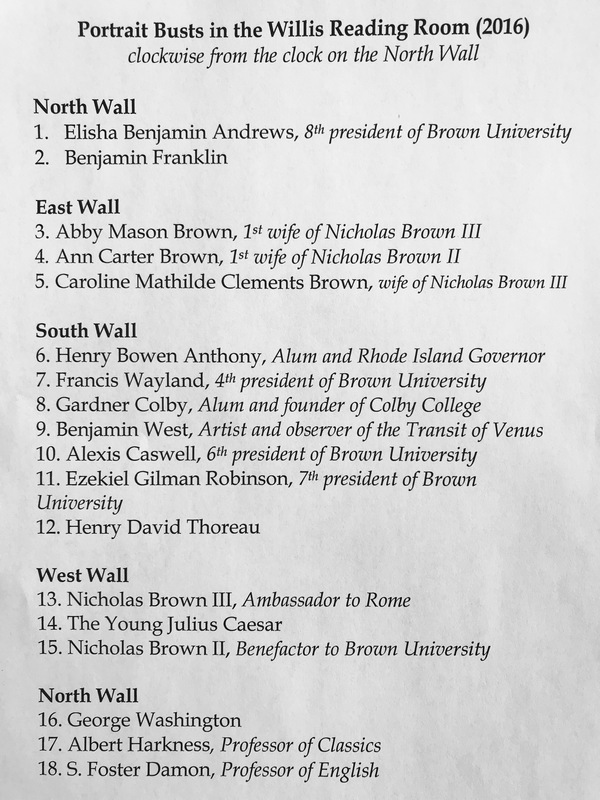 Ready to learn more about these contributors to Brown through engaging with the University Archives? Click the video to hear from University Archivist Jennifer Betts talk about engaging with primary sources. While you’re at the Hay, take a look at a famous portrait of George Washington in the Military Gallery. It was painted by Gilbert Stuart, the same artist that painted the portrait of Washington on the U.S. dollar bill! In addition, ask someone if you can view the slave ledgers in person. 20 Prospect St., Providence RI 02912 ~ Enter the John Hay Library. The Willis Reading Room is to your left. 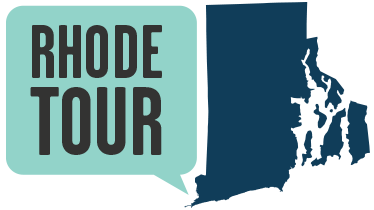 Maya Omori, “No Label, No Learning: Busts in the John Hay Library,” Rhode Tour, accessed April 23, 2019, http://rhodetour.org/items/show/348. Liao, Min-Hsiu. “Museum Texts: Intentionality and Acceptability.” The International Journal of the Arts in Society 6 No. 2, (2011): 99-110. Martin, Thomas. 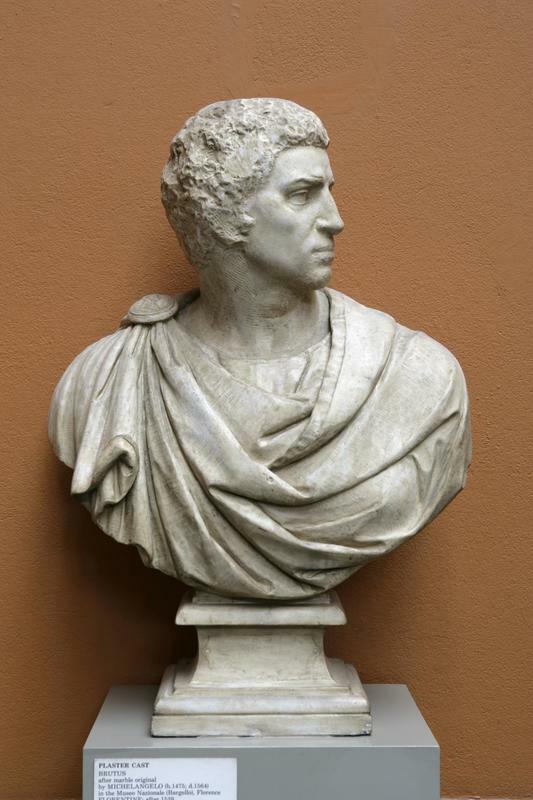 "Michelangelo's "Brutus" and the Classicizing Portrait Bust in Sixteenth-Century Italy." Artibus Et Historiae 14, no. 27 (1993): 67-83. doi:10.2307/1483445. Roelker, William G. “Francis Wayland: A Neglected Pioneer of Higher Education.” In American Antiquarian Society, 27-78. April 1943.